Nutella ice cream. With pistachios. Do I need to say anything else to convince you that you need to make this? Fine, you don't even need an ice cream maker to make this. You do need nutella though. I haven't found a way to make nutella ice cream without nutella, nor am I looking to find a way. The vanilla extract is optional. To start, you need heavy cream and whole milk. Making nutella ice cream is neither the time nor the place for health. It's the time and place for abundance and satisfaction. Begin by placing the heavy cream and milk in a pot and heating it up until it is almost boiling, but not actually boiling. Once the dairy mixture is heated through, set it aside to cool. At this point, check if the dairy mixture is cool enough. You should be able to hold your finger in the dairy for 10 seconds. 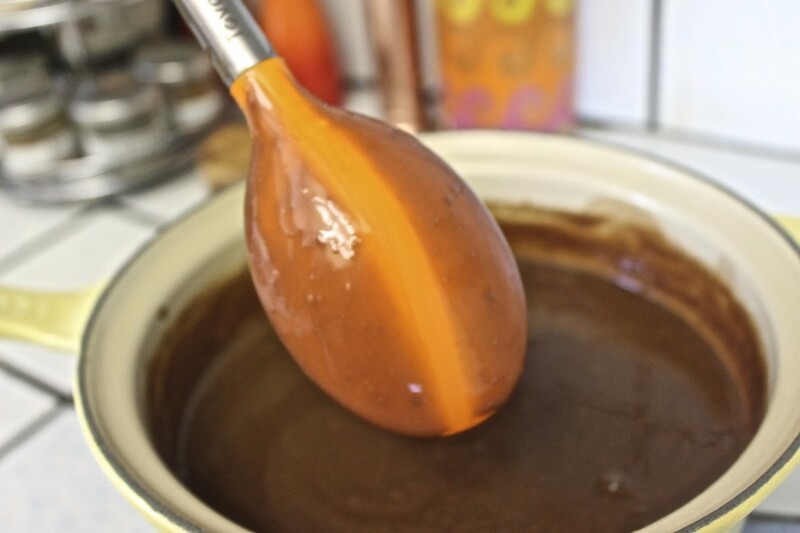 Pour the dairy into the nutella and egg mixture a 1/2 cup at a time, while whisking to keep the temperature down. Once you have added about 1/3 of the dairy mix (1/2 cup at a time), you can add the rest all at once and whisk until everything is fully combined. Now return the mixture to the pot and turn the heat on medium/low. Stir it frequently to make sure it's not sticking to the bottom. You want the the mixture to thicken a little. It's a bit thicker and sticks to the edges of the pot. A good test is to run your fingers against the back of the spoon. If the line holds its shape then the mixture is done. It barely held its shape long enough for me to snap a photo. Clean line that held its shape long after the photo was taken. At this point, pour the mixture into a bowl and refrigerate overnight, or until the mixture is below 40F. Once the mixture has chilled, churn according to your ice maker's instructions. 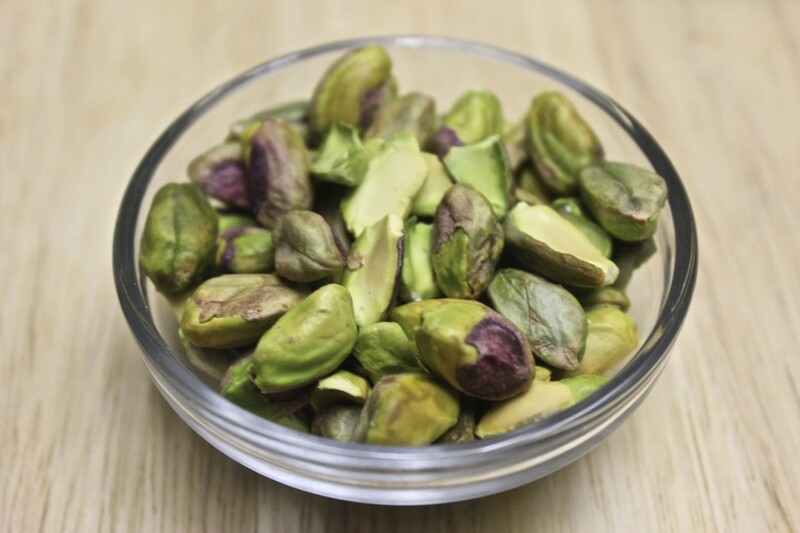 (If not using an ice cream maker, add the pistachios now and freeze in a freezer-safe container. Make sure to stir the ice cream every hour or so to create a creamy consistency). This is when you want to add your chopped pistachios. I didn't use all the pistachios in the photo, just a handful of them. I really wanted to lick the cutting board. But my husband was watching and I wanted to keep the tiny bit of dignity I still had left after 7 years. Store the ice cream in an airtight container and freeze overnight. Eat it with reckless abandon. For more devilish recipes, even more devilish cocktails and healthy angelic recipes to make you feel better about yourself, subscribe to my blog. No spam from me, only nutella ice cream. Warm the milk and cream in a pot over medium-low heat until it's just about to boil. Watch it carefully. Turn off the heat and set the dairy mixture aside to cool. In a bowl, whisk the yolks, sugar and pinch of salt until thick and pale, about a minute or two. Add the nutella and stir. It's ok if it is too thick to stir until everything is fully combined. 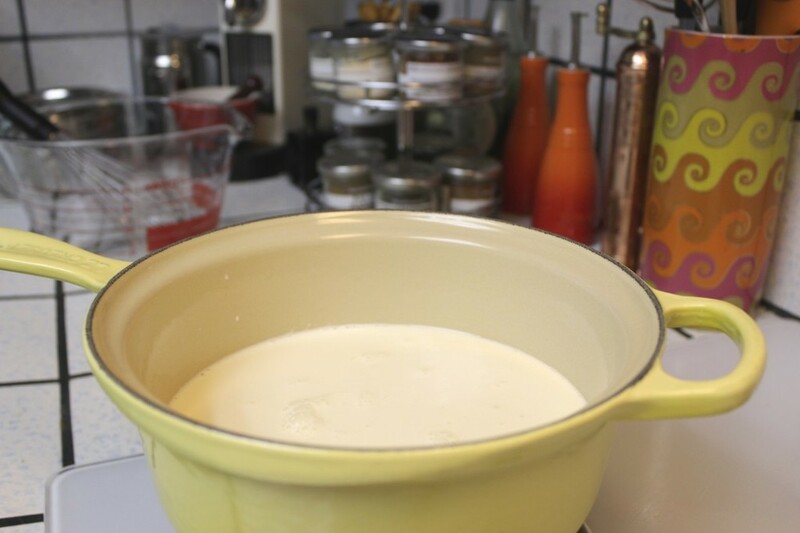 Once the dairy mixture is cool enough where you can hold hold your finger in it for 10 seconds, SLOWLY add in the dairy mixture to the bowl, a 1/2 cup at a time, while whisking the egg and sugar mix to incorporate everything and keep the temperature low. You don't want to scramble the eggs. Blech. After combing about 1/3 of the mixture 1/2 a cup at a time, you can just pour the rest of the mix at once and stir. 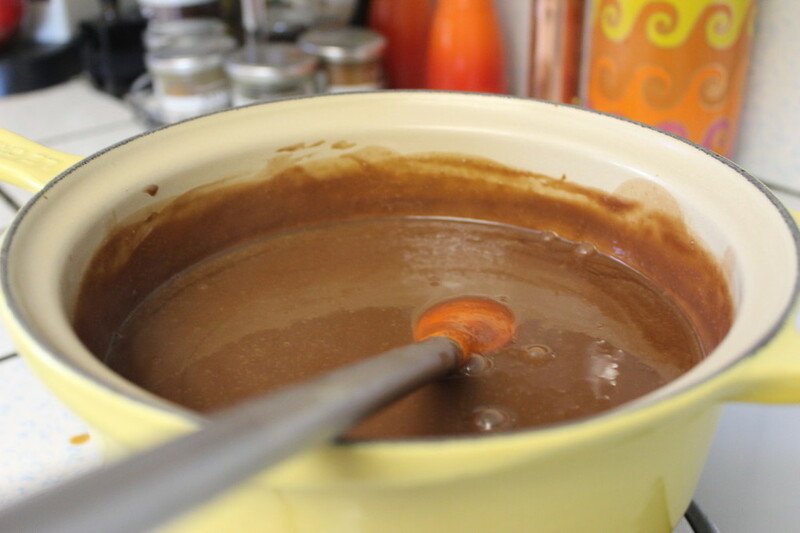 Once combined, place everything back into the pot you used to warm the mixture and turn the heat on medium low. Keep stirring, making sure nothing sticks to the bottom of the pan. If you're concerned about raw eggs and safety, measure the temp, the mixture should be around 170F. Once it reaches that point, refrigerate it overnight or until it's below 40F. If using an ice cream maker, wait until the last few minutes of churning to add the nuts. Once the ice cream is done churning, scoop some into a bowl, store the rest in the freezer and throw your face into the bowl. No spoons necessary.